摘要：Energy Performance Contracting (internationally abbreviated to EPC, while widely referred to as EMC in China) is a new market-based energy-saving mechanism starting from the developed western countries in 1970s. Instead of a product or technology,..
Energy Performance Contracting (internationally abbreviated to EPC, while widely referred to as EMC in China) is a new market-based energy-saving mechanism starting from the developed western countries in 1970s. Instead of a product or technology, what EPC promotes is a financial management method to reduce energy costs. In the EPC business mode, an energy service company (ESCO) will enter into a contract with the energy user to deliver a comprehensive set of energy efficiency services, including energy audit, project design, project financing, equipment procurement, project construction, equipment installation and debugging, and system operation and management, and recover the project cost and earn profit from these energy conservation measures. The ESCO will provide the energy user with the agreed energy services over the term of contract, and when the contract expires, the ESCO will give all the energy-saving equipment to the user free of charge. 1. It can minimize the initial investment of the energy user and solve the problems in subsequent management. 2. It provides professional heating and cooling services, which meet the energy conservation and environmental protection requirements to the most possible extent without prejudice to the enjoyment of comfort. 3. An ESCO will be far-sighted in selecting equipment modes and energy efficiency measures to enable a reasonable configuration and a long-term operation. 4. The high-quality and commercialized heating and cooling services not only create profits for the ESCO, but also enhance the quality level of the property. 5. Professional operating and maintenance services will keep the heating and cooling equipment running in a good condition and consequently extend their life. 6. As a specialized technology service provider, the ESCO can deliver a full range of efficient services in feasibility report preparation, system design, energy efficiency eva luation, project acceptance, etc. 7. The nurse-type service provided by an ESCO will ensure the safe use of A/C system. In April 2010, the General Office of the State Council issued Circular about Promotion of Energy Performance Contracting to Accelerate Energy Conservation Service Development, drafted jointly by the National Development and Reform Commission, the Ministry of Finance, the People’s Bank of China and the State Administration of Taxation. According to this document, each region and local authority should fully recognize the great significance of promoting EPC to accelerate energy conservation service development, take feasible and effective measures, formulate favorable policies, give full play to market mechanism, strengthen policy support and guidance, actively encourage EPC, expedite the popularization of new technologies and products in energy conservation, and push for a sustainable and healthy development of the energy service sector. The government encourages banks and other financial institutions to develop new credit products on the basis of ESCO characteristics, widen the scope of collaterals, simplify the application and approval formalities, and provide ESCOs with financial services such as project fundraising and factoring. An ESCO may apply to a bank for a mortgage loan, using the fixed assets it invests into an EPC project as per relevant stipulations. Further support can be obtained from foreign concessionary loans and grants. 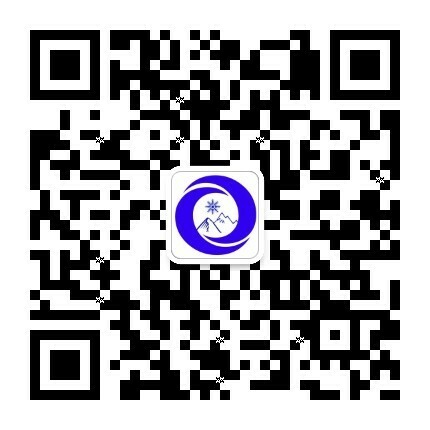 Meanwhile, EPC projects are covered by the central government budgets and the special funds of central finance for energy conservation and emission reduction, which entitles the energy efficiency improvement projects under energy performance contract to subsidies or credits when specified conditions are met. Local governments, where possible, will also support and direct the development of energy saving service sector. All levels of government of the state take proper taxation revenue supportive policy for energy-saving service industry under the condition that tax collection and management be enhanced. 1. For EPC project implemented by energy service companies, the taxable income of business obtained will be tentatively exempted from levy of business tax. For the assets emerging from the implementation of EPC projects that have been transferred to energy-consuming unit without compensation, levy of value-added tax will be exempted of. 2. For EPC project implemented by energy service companies which is in compliance with relevant provisions of tax law, levy of business income tax from the first year to the third year starting from the tax year in which the first business operation income of the project has been obtained will be exempted of and business income tax will be levied on a half basis from the 4th year to 6th year. 3. The reasonable expenditure of energy-consuming enterprises actually paid to energy service company according to Energy Performance Contract can be deducted in the calculation of the amount of current-period income tax, and affairs pertaining to taxation will be handled without differentiating service charge and the cost paid for the assets. 4. For assets emerging from the implementation of EPC projects by energy servce company that have been transferred to energy-consuming unit after Energy Performance Contract period expires, affairs pertaining to taxation will be handled based on assets of which depreciation or amortization period has expired. The above-mentioned assets will not be included separately in the income of energy service company when the energy service company and the energy-consuming enterprises are transacting the transfer of ownership of the said assets. 8. Scope of application: HVAC system of public buildings including government office buildings, hotels, hospitals, and schools. 6) Scope of application: sanitation hot water system for public buildings including hotels, hospitals, schools, hot springs, and bath centers. 2. Operational management and maintenance of the water-source heat pump house and the intake system. 3. The term of energy management and payment is 10-12 years. 4). To independently operate the whole water-source heat pump system within the agreed time period, assume sole responsibility for profits and losses, and recover initial investment and earn returns through operation of the system. 4. Energies will be charged at the rates approved by the municipal pricing bureau, and both ESCO and the energy user have the pricing basis and criteria. Where there is a cooperation intention or cooperation basis between the investor and the energy user, professional and technical personnel will be sent by the investor for field investigation to study the site conditions and propose a reasonable mode of energy supply (water source, sewage source). Upon mutual consent, an Energy Performance Contract will be signed, and the investor will fulfill its contractual obligations to conduct project feasibility study, design, construction, debugging, operation and management. Superiorities in implementation of surface water source heat pump system and the technology for preparation of high temperature hot water by utilizing waste heat. 1. No waste gases such as carbon dioxide and carbon monoxide will be produced in the operation of unit since there is no combustion process. 2. There is no hazard of explosion and the use is safe since there is no propane gas existing. 3. No fuel gas, fuel oil, and fuel coal are used. 4. The earth is used as an energy storing unit by which heat is stored in summer and released in winter with steady operation. 5. Energy conservation rate is up to 35%-40% as compared with conventional system. 6. Environment-friendly, energy-saving, clean and low-carbon, in compliance with industry policy of the state. Complete Set of Air Separation Plant ..
Petronas to spend up to $16B in B.C. .. Improved efficiency of adsorption pro..
Recoveryof acetone, ethyl acetate and.. Stable oxygen-selective sorbents for ..